Internet makes it simple and convenient to find free samples for products you really want. 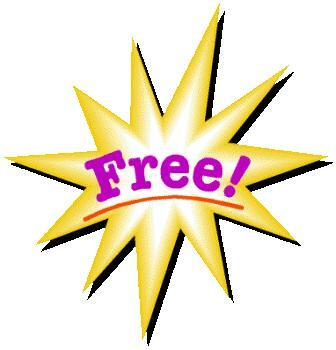 Many websites now have been dedicated to posting free offers, coupons, and rebates online. Why these company want to offer you their samples? The ultimate aim of providing free samples to customers is to persuade them to buy a product. This is one of the most effective promotional tools available, as customers can check the quality of the product or service before they decide to buy. In order to get their offer usually you have provided your email address or sign for their newsletter. But sometimes, I found websites that ask me to take a survey first before asking for the offer. For example, I would go to a website claiming to be giving away their product, sign-up for the offer, only to find out you had to sign-up at several more websites before you got anything. Another common example is not being told you have to pay shipping and handling before being taken to the final order page. I wasting my time only going to sites with more ads than free offers and those site are just scams!. I think you have the same experience with me. There are many great offer out there but you cannot find a good one. And that's the reason I created this page. Aromatherapy-at-home.com will provide readers best offer related to aromatherapy or natural health. Enjoy free sample, coupon and special offer from this site. You may be able to grab a few luxuries and stretch your budget! You have to sign up a lot of sites. Ask you to take survey not related to the product. Other things that you think is not good! Click here for Free Samples Aromatherapy Product! Send these lovely aromatherapy ecard to your sweetheart, your family and your friends. Giving them something to remember on their special day. You won't miss this offer! Hurry, Grab it while stock last!